Cryptainer LE, a free disk encryption software, creates multiple 100 MB of encrypted and password protected drives/containers. The Cryptainer drive can be loaded and unloaded as per your need. Just load your drive and drag and drop data into the Cryptainer drive and your data is encrypted. Not only can you encrypt files and folders but you can also install programs in the Cryptainer drive which is accessible only through a password. Cryptainer LE allows the creation of encrypted files that can be sent as email attachments. These files can be decrypted using the password and DecypherIT, a free utility from Cypherix®. Creates unlimited number of encrypted disk drives. Simple, Secure, Easy to use interface to minimize the learning curve. "On the Fly" disk encryption technology ensures that your data is safe at all times. Lock, Hide and Encrypt any kind of data. Tabbed Windows Interface feature allows to mount multiple encrypted drives simultaneously. Fully compatible with all 32 bit as well as 64 bit versions of Windows. 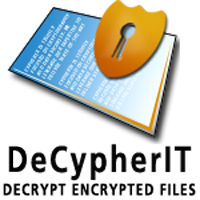 Encrypt any data, file, folder, disk, drive, on any Windows PC, desktop, laptop, removable drive (USB, flash drive, memory stick etc.) using Secure IT File and Folder Encryption Software. Additionally, Secure IT can create self extracting executable files. All you need is the password to decrypt it. Secure IT provides a file shredding facility that allows you to securely delete any data. Secure IT allows to send encrypted emails which can be decrypted by DeCypherIT a free utility from Cypherix®. Encrypt and Decrypt files, folders by browsing through the Folder tree side panel in Secure IT or by right clicking on them in Windows Explorer...and you are done!. Built-in compression to save storage space. 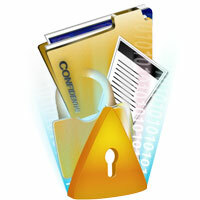 File and Folder Encryption, Compression and Shredding all in one package. No need for additional security applications, this one does it all. Lock Folder, File, any data. Your important data can be protected, by simply browsing and selecting the file or folder that you wish to encrypt within the Secure IT Explorer area orright clicking on them in Windows Explorer. Easy to use and requires No Learning curve. Password Protect Folder, File, USB Drive, Flash drive, Memory stick instantly. Allows for the creation of self extracting encrypted files. DecypherIT is a freeware utility, part of the award winning suite of products from Cypherix®. This utility allows you to decrypt the encrypted files generated by Cryptainer and Secure IT. It is very easy to use. Simply point to the location of the encrypted file and enter the password. That's it !. Click here to download DeCypherIT, a free utility from Cypherix®. How to download and install Cypherix® Products? If you're an experienced downloader, you'll find that Cypherix® Products work exactly like other programs you have downloaded. If you are new to downloading, just follow the instructions given below. How do I download Cryptainer? How do I install Cryptainer?